ACYS Spirit United depends on the contributions of businesses and individuals to help us meet the many needs of our members. The needs range from Scholarships for kids who won't be able to play without financial assistance to helping off-set the rising cost of equipment and facilities needed to run a successful youth sports program. Your contribution will help support this great cause while promoting your business in a new and profitable way. Below is the front page of our new Sponsorship Brochure. 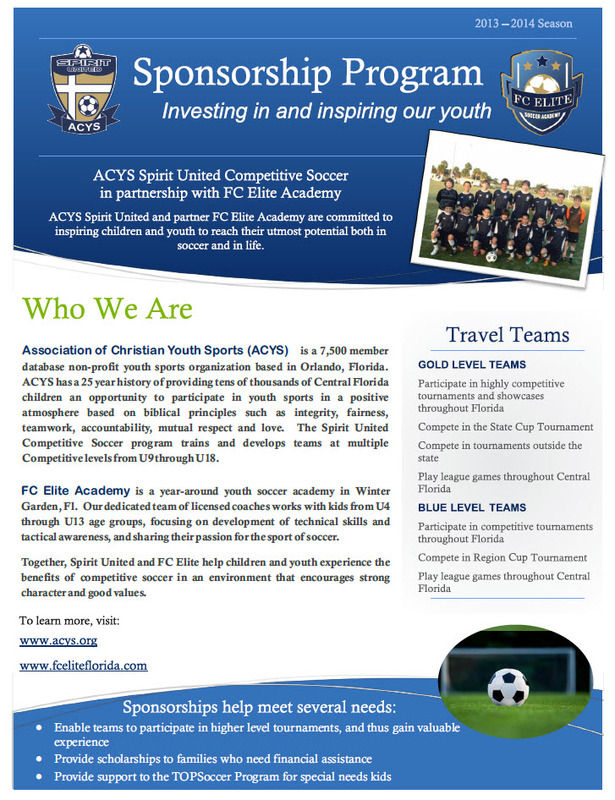 Click on the image below to find out all the details on how you or your business can make a difference within ACYS Spirit United and throughout Central Florida.